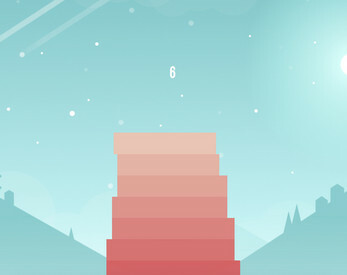 Stack each box on top of the previous one and try to reach as highest score as possible! Just Another Stacking Game is a simple casual game inspired by Stack game. My first game in Unity3D. Created in about 2 days full of learning, watching tutorials, Googling and trying to come up together with some simple game. I had to add a loading screen because of delayed audio playback in Chrome. The loading shouldn't take more than 10 seconds. 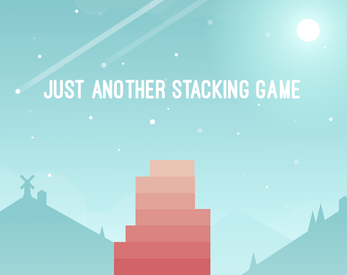 Just Another Stacking Game is on Google Play! Here comes Just Another Stacking Game 1.1! 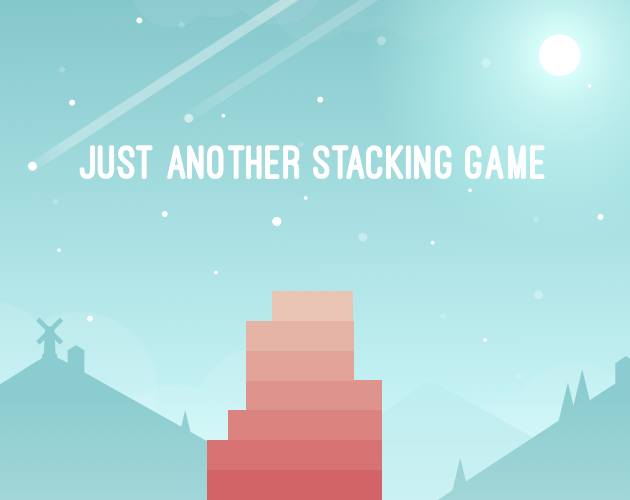 Just Another Stacking Game v1 has been launched! Hello! Just noticed the game was missing from Google Play after an update showed up for it but mysteriously disappeared later in the day. While I can do very well with itch, I am curious why it was taken down. Ah, if so, you might see what solutions they used and alleviate the issue. And yeah, was second on the leaderboards (before getting to third). Guess I should try hard to claim second again! Thanks for your kind words! I did everything myself except the music and sounds which I downloaded from the internet. I work as a designer so creating these assets was a bit easier to me. Really nice and simple. The music and sounds just fit perfectly. Awesome work. I have also added a link to the music's author, thanks for the notice. Hey, thanks for the review! 92 is really cool score! Nice game! Keep it up. I love the simple art style. Finishing any project no matter the size is awesome. Good work. Thanks a lot! I have some ideas for making the graphics a bit more alive with some simple animations so I hope I'll be able to do what I want. And I completely agree with finishing projects. It's always important to finish the games even if they are not perfect. You can always make them better later, can't you? GREAT JOB!!! It's a simple but adorable work for a beginner like you, I really like the idea that the box will grow longer when putting three boxes perfectly in a row. Please keep going! Thanks for the kind words! I have many ideas for next games so I hope I'll be able to work on them as well.